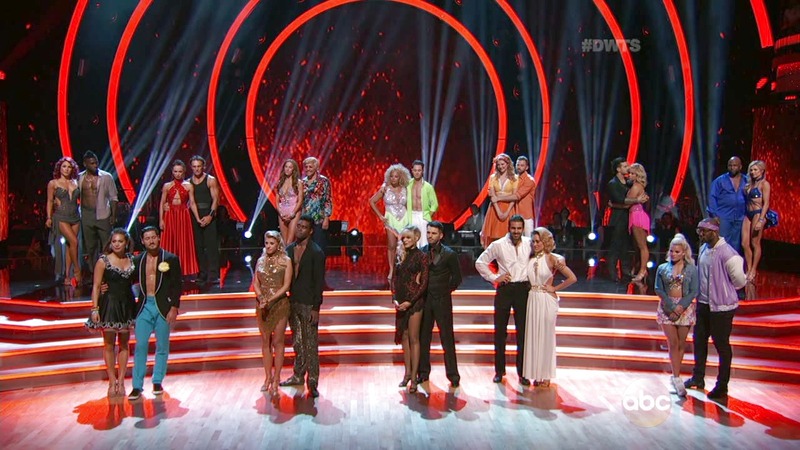 The second episode of "Dancing With the Stars" Monday meant that it was time for the first contestant of Season 22 to be sent home. After they all had a dismal premiere outing last week, Geraldo Rivera, Mischa Barton and Doug Flutie landed in the bottom three facing elimination. Surprisingly, former New England Patriots quarterback and Heisman Trophy winner Flutie showed a marked improvement on Latin night to escape getting the boot. However, not even a tongue-in-cheek tribute to Donald Trump could save veteran journalist Rivera and he was voted off. Dressed in a blonde wig, Hawaiian shirt and fake tan, Rivera's playful Salsa with partner Edyta Śliwińska playing the role of Melania Trump earned love and laughter from the judges, but that didn't transform into points. "Unfortunately, you did not make dance great again but you did make me laugh," Carrie Ann Inaba told Rivera, in a pun on the GOP presidential candidate's campaign slogan, "Make America Great Again. The 72-year-old took his defeat with grace, thanking Śliwińska for being "fabulous and patient and talented and charismatic," adding: "If I didn't get eliminated tonight I would have demanded a recount." "The O.C." actress Barton was seen struggling during rehearsals, telling pro Artem Chigvintsev that she felt "beyond not good" about their upcoming performance. "It's been a really rough week ... it was tough to do it live when you haven't done it right once," she tearfully said on Monday's show. Luckily the judges went easy on the emotionally-fragile actress. "You tried to get into character. There was this cheeky, charming feeling," Bruno Tonioli said. Meanwhile, at the top of the table were Boyz II Men singer Wanya Morris, whose Salsa earned him the title of "King of Ballroom" for a performance that Len Wiseman said was "full of dance, energy, excitement." UFC fighter Paige VanZant also delivered a knockout round despite partner Mark Ballas having to sit out the week after hurting his back. "Dancing With the Stars" airs Mondays at 8 p.m. on ABC. See video of Rivera getting eliminated below.